Our famous biker gnome finally got his own bike! This cool biker dude is ready to ride the open road on his shiny red motorcycle! 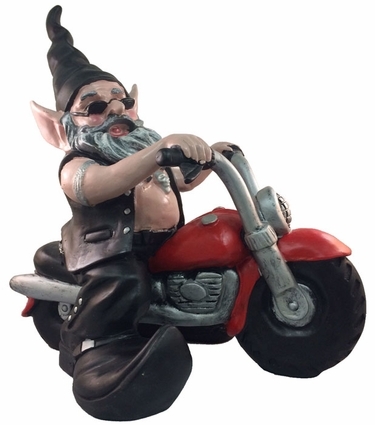 This motorcycle gnome is made from cast stone resin to resist all kinds of weather - he really is as rugged as he looks!